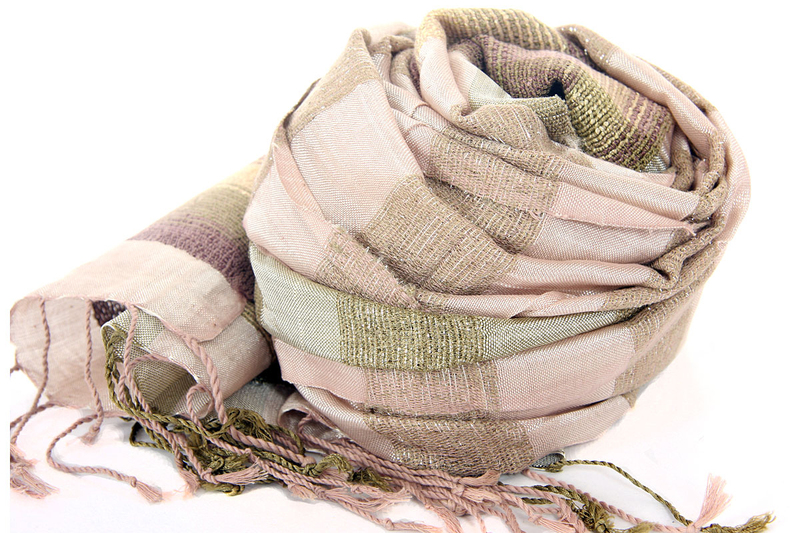 Beautiful gold rose & sage metallic vertical plaids scarf has horizontal gold & silver colored plaids. Broad multi colored border along the width of scarf & also long twisted fringes completes this 100% viscose scarf. Classy scarf can also be teamed up with a formal dress as a shawl. Imported.